Premier Player Kit must be worn at our sessions and we have teamed up with sportswear Nike to supply our training wear . 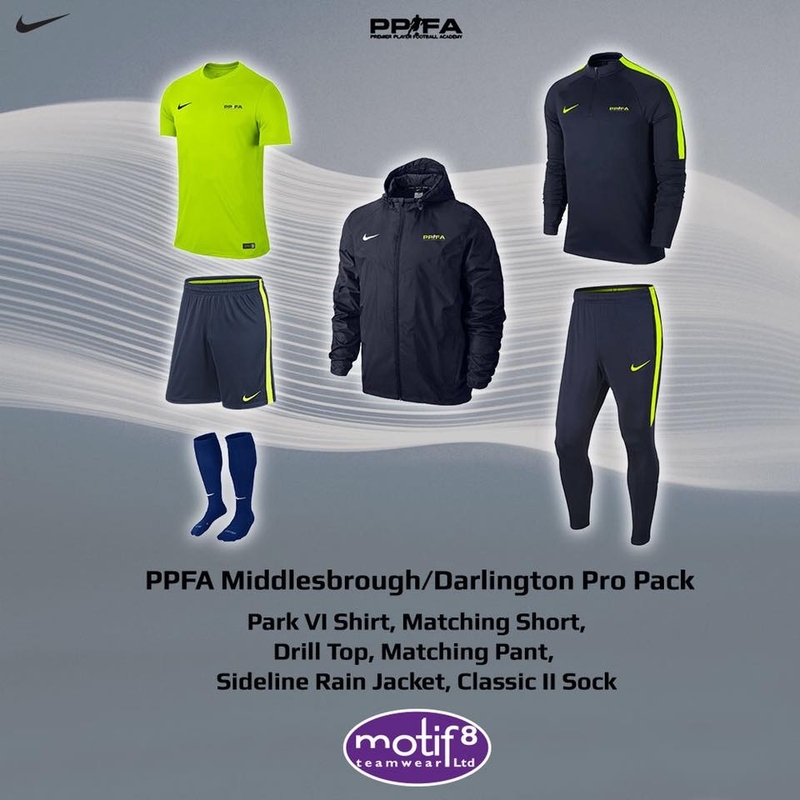 This kit can only be ordered through our kit partners Motif8 either online at www.motif8.co.uk or you can visit their store on Mandale Industrial Estate , Thornaby . Each Academy has specific kit so please choose the correct set for the veue your child attends. Please deal with our personal contact Carl Sweeting at Motif8 .